The national referendum on June 23 will decide the direction of the United Kingdom in the 21st century. It is one of the most important determinations, the electorate will make in their life times. The decision is rather simple, will the country remain as part of the European Union (EU) or will the United Kingdom being the 5th largest global economy, move towards becoming an independent entity once again? The conclusion will effect the pattern of of investment, for years to come. There are two facets of the debate that should concern voters. One is economic and the other one is political. They both involve costs of either remaining in the EU, or leaving in what has become labeled as a Brexit. The United Kingdom made the decision to join the European Community in 1973. This action has been controversial from the beginning and has remained so, as the Continent has strengthened the ties of unity over the subsequent years. Even the original entry was renegotiated, which the British people acquiesced to in a 1975 referendum. 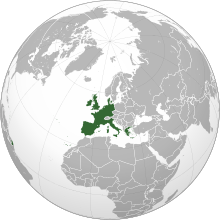 In 1979 the EU introduced the European Monetary System, which all member nations joined with the exception of the United Kingdom. During the tenure of Prime Minister Margaret Thatcher, an ongoing dispute came to a head over the common budget. The major issue for the British government at the time, was the Common Agricultural Policy (CAP). Prime Minister Thatcher successfully engineered an agreement, that reimbursed the United Kingdom around two thirds of their net contribution to the EU at the end of every year. This has remained in force ever since. 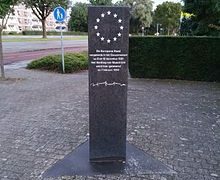 The Maastricht Treaty paving the way for a European Union, came into force at the end of 1991. The United Kingdom decidedly opted out on both the monetary portion, which called for a common currency and the portion dealing with social policy. Actual implementation would come in 1993. It would be this written agreement that introduced the concept European citizenship. It would soon permit Europeans to live, work and vote in any member nation of their choice. In addition, the pact set up the framework for further European cooperation in foreign affairs, asylum criteria and immigration. After joining the Exchange Rate Mechanism (ERM) in 1990, the United Kingdom subsequently left in 1992 in order to prevent a practical run on the British pound. 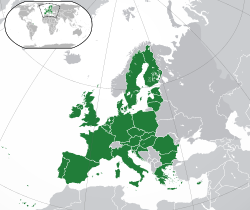 The Schengen Pact opened the internal borders of member nations of the European Union in 1995. Both Ireland and the United Kingdom decide not to be part of this common borders initiative. Signatures of the Schengen Agreement on June 14, 1985. The late 1990’s saw the EU expand further into Central and Eastern Europe. The nations of Cyprus, the Czech Republic, Estonia, Hungary, Poland and Slovenia would be in the first round for accession negotiations. A year later Bulgaria, Malta, Latvia, Lithuania, Romania and Slovakia would be invited as well. 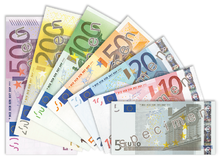 The Euro would come into existence in 1999 and would finally replace all national currencies in 2002, except for those nations including the United Kingdom who had decided not to abandon their own money. Denmark and Sweden would be two examples of this. Along with enlargement in 2004, came a new constitution the same year. A crisis results in 2005, when voters in both France and the Netherlands through referendums, reject the new EU Constitution. 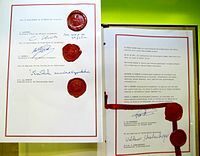 Since the document cannot go into effect until all 25 members agree to the establishment of the constitution, it stalls further integration of member nations in the EU. Successive governments in the United Kingdom, have expressed mixed feelings about membership in the European Union. The failure to ratify a new constitution, was certainly not looked upon as calamity by the British government. The Conservative Prime Minister Cameron has staked his reputation and probably his hold on power on having his country remain in the European Union. It has also become more problematic for his government as Scotland remains far more committed to be part of Europe, than the rest of the United Kingdom. He perhaps unwisely, had decided to put membership in the EU as part of his agenda during his last re-election campaign. To combat the rising sentiment throughout the kingdom towards an exit from the EU, Cameron is trying to provide potential voters a more complete picture before the referendum. This month the focus was on a study released by the British Treasury. The purpose of the report is to provide the electorate the full costs and benefits of EU membership as well as the same regarding a possible Brexit. The conclusion made public by George Osborne who is the Chancellor of the Exchequer, is there will be a high economic cost in leaving. The projection is that GDP (Gross Domestic Product) would be lower by 6.2% after 15 years. This is in conflict with those who favor an exit from the EU. Supporters of Brexit continue to claim that there will be no real costs associated with a withdrawal. Mr. Osborne is also quite rightly pointing out that in addition to any economic impact, the concern should be whether the Eurozone might well decide to adopt discriminatory policies to non-euro countries like the United Kingdom. At present the Eurozone consists of 19 countries. Other member states which total 9, have decided to not be part of the common currency. The United Kingdom has been vigilant in protecting its interests in the face of an opposing majority. If there is a withdrawal from the European Union, it will leave the British far weaker at the negotiating table. To re-balance this precarious position, PM Cameron won the concession earlier this year that the EU will continue to have more than one currency. Of course if the British are no longer in the European Union, the existing leverage will be gone. The Prime Minister was also able to win two other concessions. First, a commitment from the Eurozone that there will be no effort to damage the far wider 28 member single market. The second, is the right of appeal to a full EU summit, in case any Eurozone decisions were deemed to be harmful to the United Kingdom. In return, Cameron promised not to obstruct any further advances in strengthening ties between Euro-zone members. One of the most important assents that the Prime Minister was able to wrest from the EU, was the agreement that much of the autonomy that the British enjoy in financial services would continue. This is particularly pertinent to the city of London, which remains the financial capital of Europe. London is the capital of the United Kingdom. The City is one of the largest financial centers in the world. Altogether Cameron had achieved what he had promised, a renegotiated status that was now going to provide the United Kingdom what he referred to as the best of both worlds. Yet there will continue to be contention, especially since the United Kingdom will want to maintain its special role within the European Union. The European Parliament will often take action that runs contrary to the interests of the UK. Last summer for example, the Eurozone finance ministers had decided to use a European Union rescue fund to aid Greece. This was done even though they had previously made a commitment to the 9 non-Euro nations, that should of prevented the use of the money. In the end, they were forced to agree to be responsible for any losses that might be incurred by the United Kingdom and the other 8 countries. 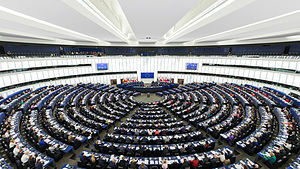 The European Parliament’s hemicycle (debating chamber) during a plenary session in Strasbourg. Another illustration was when the European Parliament imposed an EU wide ban, on what the legislative body considered to be excessive bank bonuses. The British have often attracted some of the most talented individuals in the financial services sector by the use of such bonuses. Many of the countries on the continent are looking for ways to raise additional money, in an attempt to keep annual deficit spending to at or below the 3% of GDP agreed upon. A financial transaction tax has been viewed as one method to achieve this objective. This threatens the special role that London and the United Kingdom plays in world finance. The plan has so far failed to move forward, partly because of British objections to it. 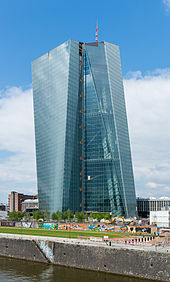 The seat of the European Central Bank in Frankfurt Germany. 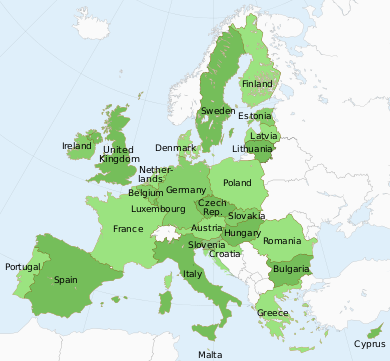 19 of the 28 EU member states have adopted the euro as their legal tender. The European Central Bank (ECB) also wanted to stop the unique status that London has in the clearing and settling of Euro transactions. The British in response decided to take the institution to court, to prevent them from moving forward with the initiative. Tensions are rising with Eurozone nations, that are increasingly unwilling to give the United Kingdom veto power over all financial regulations. The latest example of this was in December of 2011. 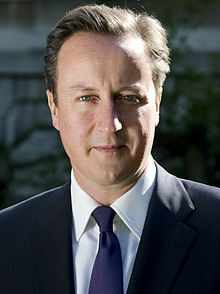 At that time, Cameron attempted to block a new fiscal treaty, unless he was given the power to prevent future legislation that would run counter to British interests. He failed to achieve his objective then. Many of these same countries are also resistant to the idea of extending the present approval process that is needed by the European Banking Authority. Any decisions by the agency have to be approved by a majority of both Euro and non-Euro nations. It is no coincidence that the bank is located in London. These are all examples of why supporters of Brexit, think the United Kingdom might be better off fully independent. The need for constant vigilance in preventing the Eurozone from passing legislation or regulations harmful to Britain, has become exhausting to a number of leading political figures of the country. It is important to note that the European Union is likely to have non-Euro members for years to come. The nations of Bulgaria, Croatia, the Czech Republic, Denmark, Hungary, Poland, Romania, and Sweden do not seem to be in any rush to abandon their national currencies in favor of being submerged into a larger entity. 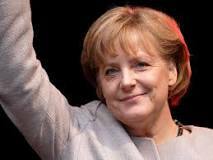 Chancellor of Germany since 2005. Germany is quite resistant to further monetary integration. Chancellor Merkel has made it quite clear she does not favor a common budget and continues to oppose the concept of Euro-bonds. It would not be to the advantage of Germany, to allow further financial integration either. The government in Berlin has only recently balanced the national budget and is now moving to paying down the national debt. In 2010 the German debt to GDP was 80%, it has now declined to 70%. Supporters of the British withdrawal from the European Union, point to the lack of accountability and democracy in the decision making process that comes from the European Parliament at large and the growing bureaucracy in Brussels. The larger and stronger that European Union institutions become the less responsible they are to voters in individual countries less enthusiastic about further integration. 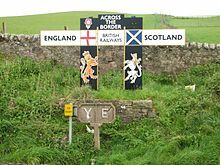 The Scottish government proposed that there would be no border controls on the Anglo–Scottish border. If the United Kingdom would decide through referendum to leave the European Union, it will likely help lead to the breakup of the Kingdom itself. There is no question that voters in Scotland prefer by a larger majority than elsewhere, to remain as part of the European Community. If the June vote goes against the government in London, there is every reason to believe that Scotland will demand a new vote on independence. This new referendum would likely take place despite the 2014 results, where 55.3% of Scots voted to stay as part of the United Kingdom. The voter turnout was 84.6% of eligible voters. If just a bit more than 5% of the electorate were to change their position, the present political configuration of the nation would be doomed. A further worry for the Conservative government is how a vote to leave the European Union will effect the overall British economy and trade. It has been calculated by the Treasury Department that a withdrawal will cost each family 4,300 British pounds, the equivalent of $6,200 USD (United States Dollar). David Cameron Prime Minister of the United Kingdom since 2010. Of course opponents of the government, insist the figure is inaccurate and is being used to scare the British public. Those supporting the Brexit instead point to the fact that it is estimated that migration to the United Kingdom would be expected to fall by 84,000 a year. This is important because immigration has become an increasingly controversial issue in Britain. A majority now seem to support some additional curbs on migration with 323,000 now arriving on an annual basis. If fewer people were to annually arrive in the United Kingdom, it would help in slowing the rise in housing prices. The Organization for Economic Co-operation and Development (OECD) figures it will cost each household in Britain, the equivalent of 2,200 British pounds ($3,210 USD) if the country votes for withdrawal. Another concern was the hit international trade would be dealt. A perfect example was the bilateral agreements in place with the United States. It was always assumed that the importance of American exports to the United Kingdom which totaled $56.35 billion USD in 2015 alone, would necessitate a quick new deal if a Brexit took place. A recent comment made by President Obama during a news conference with Cameron indicated this may not be the case. The American President went on to claim that the United Kingdom is able to magnify its influence and power as being part of the European Union. This is a assertion that has been often used by those who support the forces that wish to remain as part of the Union. This type of terminology has been used by the Prime Minister himself. President Obama then claimed that a new trade agreement with the United Kingdom would be less important to his administration, then moving forward with the Transatlantic Trade and Investment Partnership (TTIP). He even suggested that the British would be forced to the back of the line in priority. However, it must be noted here, that there will be a new American President in 2017. It also must be said that it is hard to believe that the United States would not move quickly to secure a new trade agreement with the 5th largest world economy by GDP. Those wishing for a more independent Britain, fear that the uniqueness of their culture will be further diluted in a larger European Union, as borders and differences among member nations are eased. Massive immigration from North Africa and the Middle East into Europe only heightens this concern. The vote in June remains controversial and it is not clear at this point which direction the electorate will move in. Further financial and market instability as well as fears of terrorism, have only complicated the issue. Much is riding on the outcome of this all important referendum. The future of Europe and the United Kingdom is now at a crucial crossroads.